Check it. 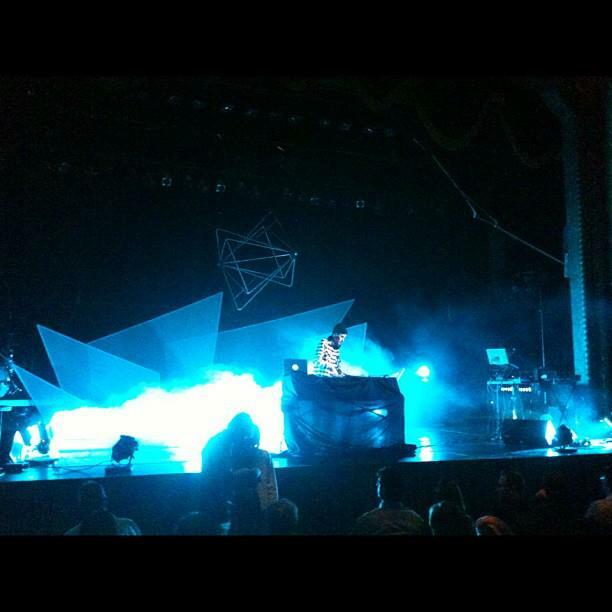 Here’s DJ Geeg (of The Spacetones) opening for Quixotic, Halloween night at the Gillioz. The show was a big step for the theatre, as it was the first time aerial performers had been rigged on our stage. With a tasteful mix of expressive dancers, live trip-hop, engaging visuals, Quixotc put on a one-of-a-kind show fitting for the holiday. We brought in the usual VerTec rig we use for bigger shows, and I ran both monitors and FOH from a Yamaha M7CL-48… mixing was a pleasure. 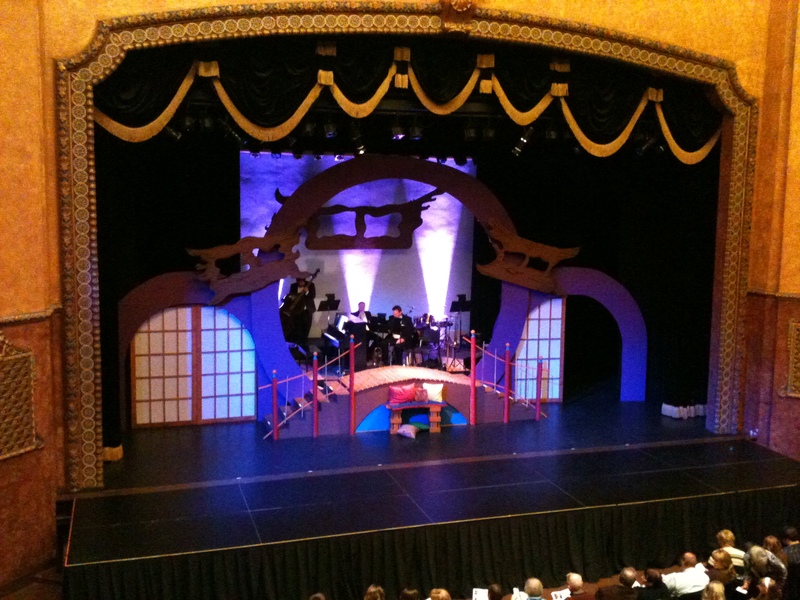 Here we have Springfield Regional Opera’s set for The Hot Mikado. This was my first theatre sound gig. Sure, I’ve done concerts in a theatre, but never theatre in a theatre. With nine lavalier microphones shared among 12 actors, my fingers were kept busy through the entire performance. I enjoyed the change of pace from the usual rock concert and developed a huge appreciation for the cast and crew of the show.